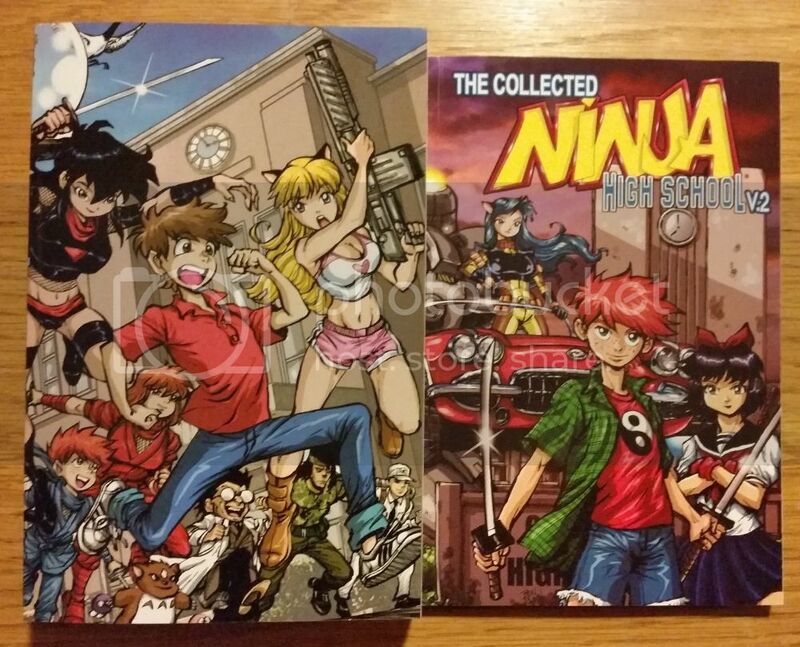 So, Ninja High School had a Kickstarter recently that collected the first 25 issues of the series that started as an independant comic in the 1980s. I had read Volume 2 in 2003 and really enjoyed issues 101 - 115 that I had (Volume 2 starts at issue 75), but it's been so long that I don't remember much of the series other than there were ninjas, superheroes, and space battles, but I remember enjoying it, and can't wait to read the series in full. 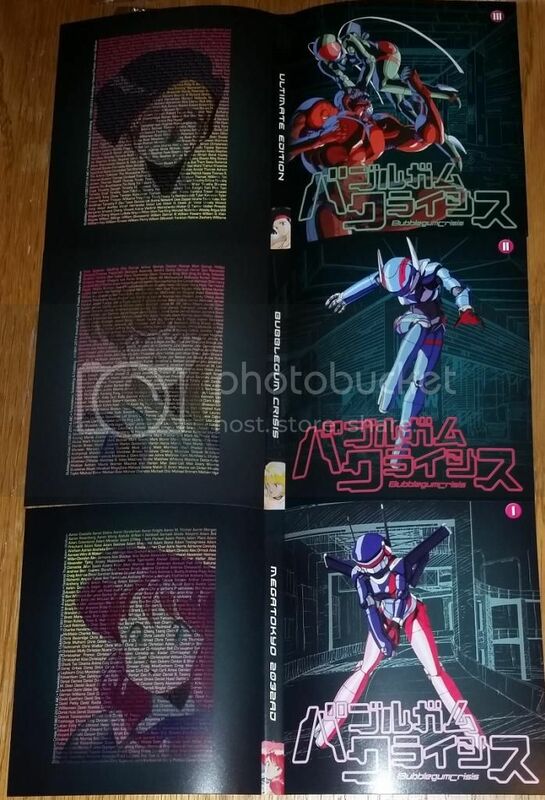 It was only a few years ago that I saw the manga sized version of Volume 1 (the first 6 issues) which followed different characters other than the ones I had read. It follows the story of Jeremy Feeple, a boy from a ninja family who hasn't taken to his family's calling. A ninja bride arrives to marry him based on a deal Jeremy's mother made with her father, but at the same time, an alien has been sent to marry him by royal decree. The two girls fight for his affections. Slowly, it gains a very large cast of characters. It also included really random anime references that I understand now, but I'm not sure many people would have gotten back in the 80s. Anyway, here is the cover. An Add-On reward was the Ninja High School Volume 2 Textbook, which were the stories of Jeremy's brother and his adventures, pictured above. I was disappointed I missed that Kickstarter, but excited it was an add-on so I could still get it. 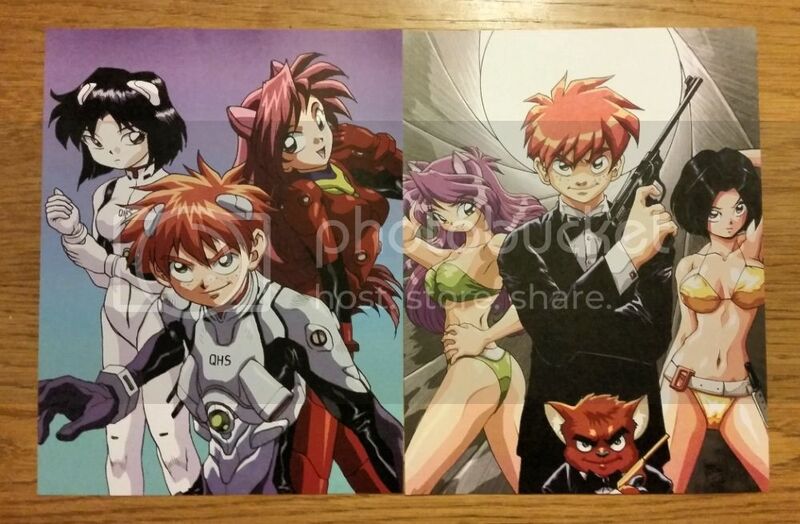 Extra rewards that came with the Kickstarter were also 5 prints (3 were the characters from Ninja High School Volume 2, while the other 2 were Angel Warrior Areala and some character I don't recognize) and a button. And I've also noticed that both textbooks are on Amazon, so if you are interested in giving the series a try, you should look for old copies of Tokyopops' books because the first 3 volumes are incredibly cheap at only a few bucks (but is insanely expensive Volume 5 and beyond), but if you like the series, you should definitely buy the textbook. First, some back story about the following video. I made some videos in 2012 and 2013 called Murphy's Media Memories. The premise is simple; I find rare and obscure VHS movies, cartoons, books, electronic game systems, and even failed technologies like Marvel's first CD Comics from the early 90s. All of these are things I remember experiencing during my childhood (before the year 2000; when I graduated high school). I really enjoyed most of them, but sometimes no one ever knows what I'm talking about if I describe it, and sometimes you can't even find them, so I offer to the internet these interesting media choices that people should know about. My series was picked up for CastwaveStudios.com. I hope to have pictures for the backlog of episodes up later. I have been working with them to get episodes up that don't need to be recorded in real time anymore like I've always had to work with due to my old computer connecting to the digital cassettes through the Firewire cable. Now I can actually store data on cards instantly and put them on my computer! The first episode for CastWaveStudios is Transformers: Battle For Earth, a children's hardcover book that introduces kids to the world of Transformers, then attempts (and fails) to tell a story in words along with pictures. Hope you find the video entertaining. 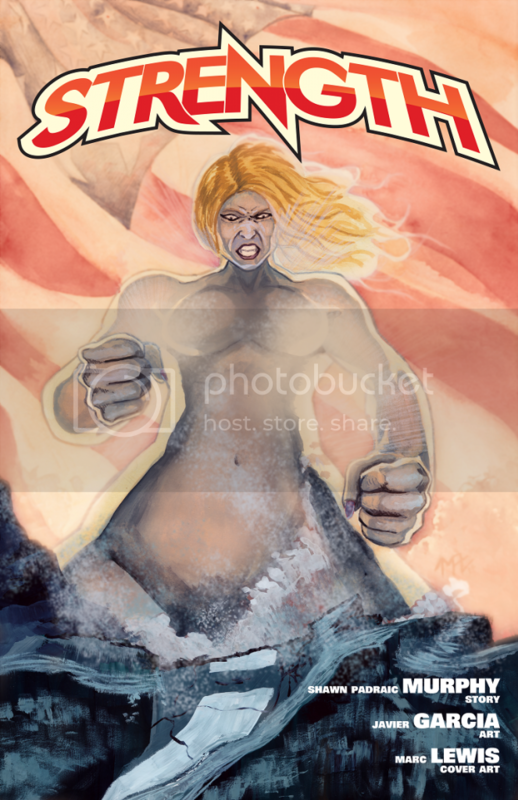 The cover for Strength #2 is here. The issue is nearly completed; the end of the story is in sight. 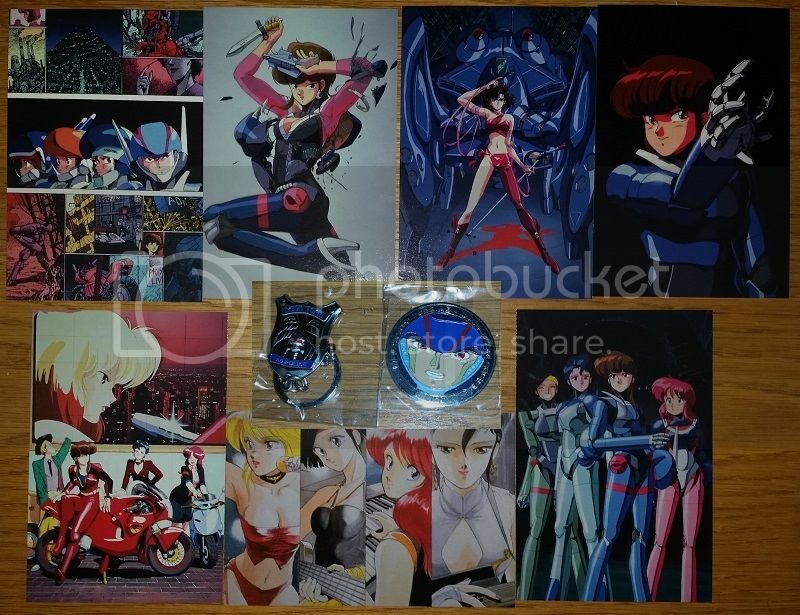 Today I received the Bubblegum Crisis Blu-Ray in the mail. It is the first time it has been released on Blu-Ray, and I can't wait to watch it in high-quality. Now, I could go on and on about how much I love this series, or even show you all the different versions and art books I have, but for now I'm just going to show you what the entire package looks like. Please forgive the really poor MSPaint Pasting. 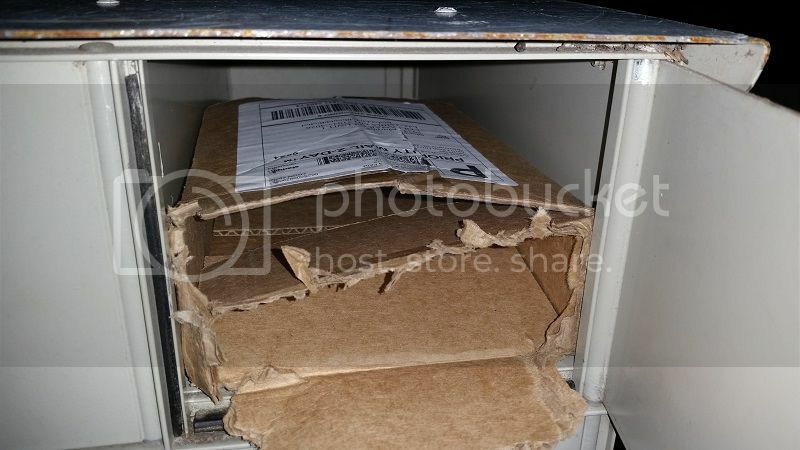 At first, USPS tried to deny me my well deserved reward, and when I first tried to pull the box out of the mailbox, it wouldn't budge. I couldn't squish it either (the back door the mailman uses must be bigger). Well, I grabbed my scissors and for 10 minutes in the dark of the night, stripped the box away to get my precious prize. Now, the rewards are really cool, as I'm most excited about the A.D. Police key chain, and the coin with my favorite villain, Largo. 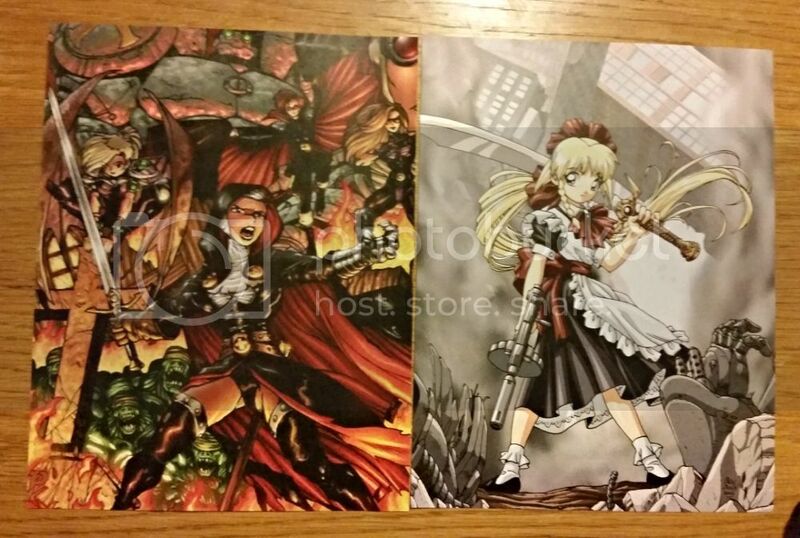 You also get 7 postcards. 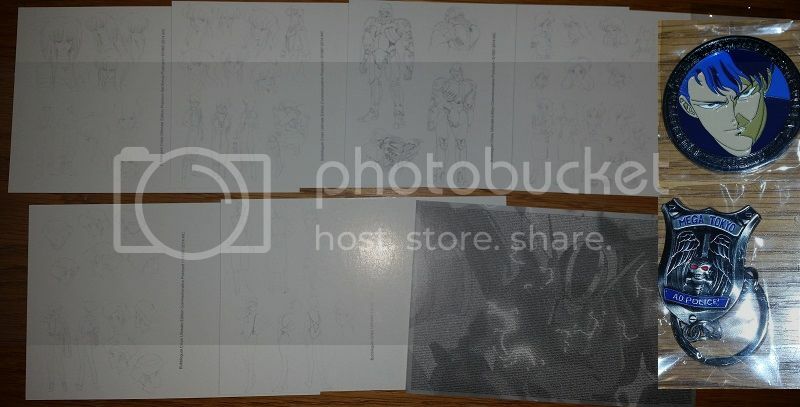 Plus, the back of the cards have character design sketches. 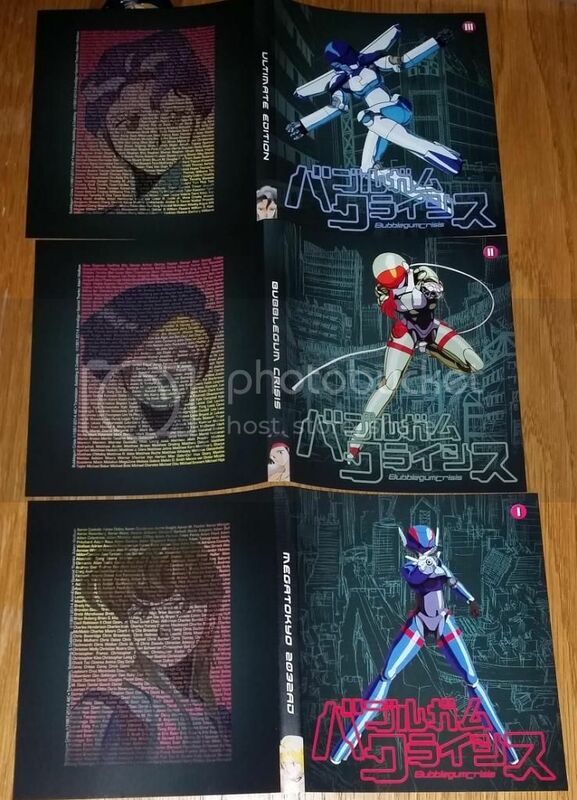 They also give you the 4-Issues American Comic Book Series in digital format, as well as all 3 RPG books set in the Bubblegum Crisis universe (not pictured). Next, I'll show you the front and back of sleves. Also, note the pictures with names on them. My name is there in Linna's mouth in the picture she is smiling. And don't forget the discs. That ends this look at all the items for this Kickstarter. Now that this was a success, AnimEgo might starting doing the same with some of their other properties. I am having a blast watching Casshern (from 1973). It's fun watching him fight robots and seeing one of the early anime titles of that era that was the source for one of my favorite anime titles in middle school. One thing that was surprising for me though, was how both Luna (Casshern's childhood friend) and Casshern's mother both are treated much differently than what I would have expected for not only the girlfriend character, but the dead parent, as well: Luna actively fights by Casshern's side, whereas Casshern's mother is a spy for the robot army. In Casshern, lighting strikes the android BK-1, which awakens and decides to destroy humanity. He attacks his creator Azuma, his wife Midori, and their son, Testsuya, who barely escape with their lives. Their dog is critically injured, and is turned into a robot dog with the original's brainwaves (Vision and Wonder Man did the same thing in Avengers in 1970). And this robot can turn into a car, jet, sub, and spaceship. However, BK1 now calls himself Braiking Boss, and creates an army of robots with Azuma's factory and begins taking over the fictional and unnamed country he was born in. Tetsuya, realizing that the UN is no match for Braiking Boss and his robots, merges his body with a robot, becoming an android; neither human nor robot. Now, he fights to defeat Braiking Boss and save humanity. One of the themes of the series is that of identity. Casshern hides what he is because all humans hate robots of any kind now, and Casshern frequently finds himself outed, and yet continues to fight for a world that shuns him. 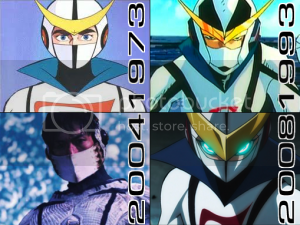 However, just by watching Cassherns actions, most people learn to accept him at the end of each episode. Luna has a father who invents a gun which can kill robots with one shot. He is killed when his invention is discovered, and Luna is determined to fight with his weapon no matter what Casshern says. In the beginning, Casshern constantly tells her to leave so she will be safe. Yet time and again, because Casshern can only use so much energy before being helpless, Luna comes to his aid. In the end of the 4th episode (in which she saves Casshern's life, by the way), she actually leaves on a boat, and you think they are writing her out of the series, but then Casshern interrupts her boats path, and realizing he can't win this battle alone, asks her to join him in the battle, no matter what happens. Starting out as the damsel that Casshern needs to rescue (2-3 times), she eventually turns into a warrior to fight Braiking Boss' army. One of the weirder and unsettling moments is when Braiking Boss kidnaps Casshern's parents. He is going to kill Midori to prove a point to Azume, but Azuma (asking his wife's permission first) says he thinks he can save her, but it will come at a price. Braiking Boss thinks she escaped, but what Azuma has done is transplant her brain into their robot pet Swannee (a robot Swan). Braiking Boss takes Swannee as a pet and is never suspicious of what she truly is. Here, Midori gathers intel and reports to Casshern, helping them stop all of Braiking Boss' evil plans. Midori (usually every episode) puts her life on the line constantly to help all of humanity. And though Casshern wishes they could all 3 return to the way they used to be once this is all over, it sometimes seems that Midori knows this can't happen, and only helps him have hope to see the battle through. I'm so used to seeing the parent's dead, and the son trying to move on, that I was surprised at how refreshingly different it was to have the parent now be the spy for the villain of the series. Her life is in constant danger (again, she is only a robot swan), and seeing Casshern and Luna save each other on a near equal basis makes it feel more of a team effort. 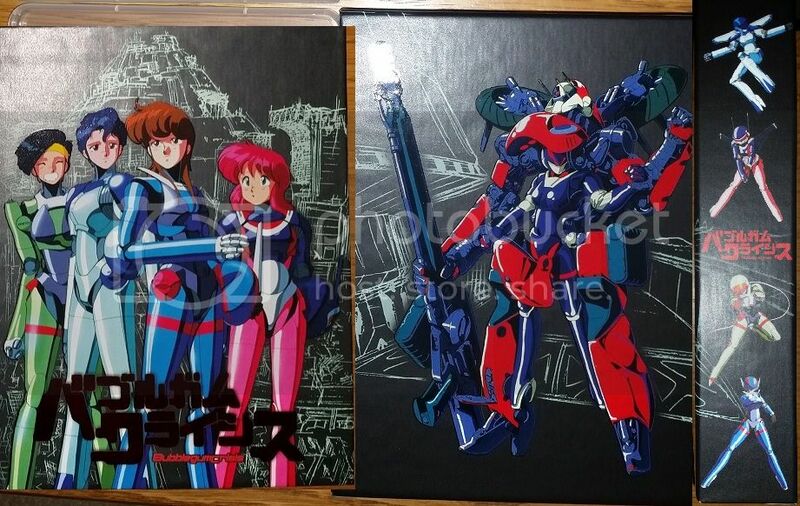 It somehow feels more progressive than most anime titles I watched in the 90sat the time. I have never seen this series before. 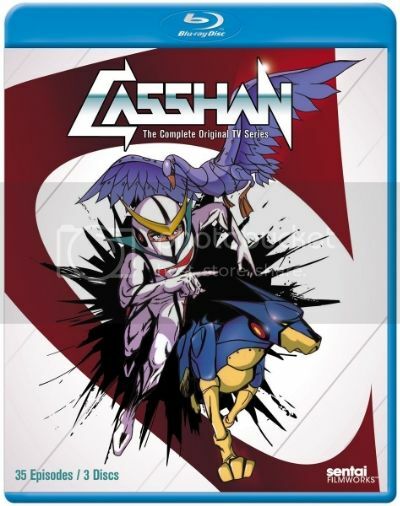 I grew up watching Cassharn (it was re-tittled) on the Sci-Fi channel back in the early 90s, and was always bummed that it was so awesome, and yet only had 4 episodes (or OVAs, as I would later find out). So much so, that watching the original series, I'm seeing similar ideas and themes that are in Mechanaflux that were not in the original 90s show I watched. So far I have only finished the first 12 episodes, but I know that it, too, will end. Oh well, I suppose I can watch Casshern Sins again and cry at the the really bleak and depressing future and character stories in every episode. I will revisit Casshern again, because there is an episode in Casshern Sins that is definitely a modern re-telling of one of the 70s episodes, and I'd like to examine the way the story is told in each one. 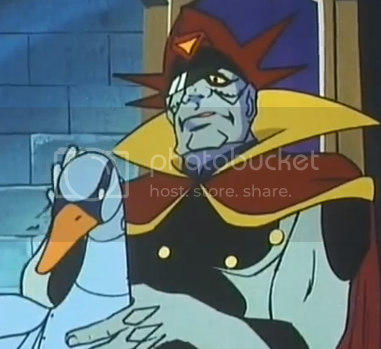 If you are interested, you can check out Casshern's 35 episode original series from 1973, or the 4 part OVA from 1993. I'm a creator of different comic books, videos, and even internet shows.